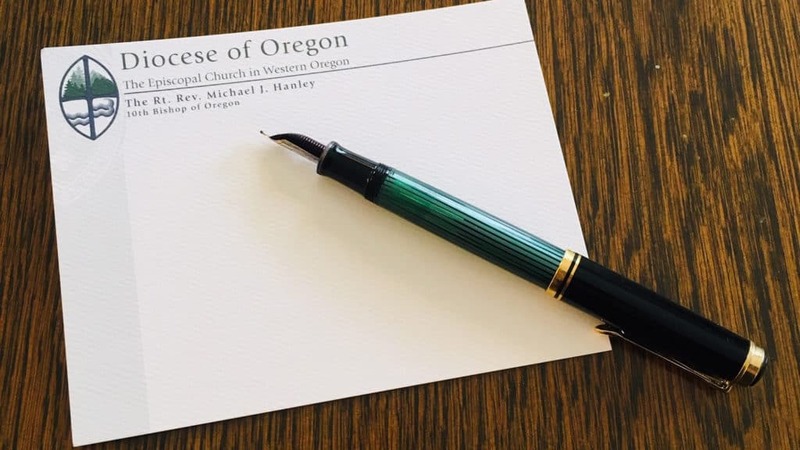 For the past nine years I have been privileged, as part of my ministry as bishop, to send a short note on the anniversary of their ordination to the clergy canonically resident in Oregon and to those non-canonically resident clergy working in Oregon. The note is short, written by hand with a good pen and on my personal note cards. I normally simply offer blessings for their ordination anniversary and offer prayers for the year ahead. Occasionally a priest or deacon who has been touched by my note feels called to send a note or e-mail back to me letting me know that they are well and continuing to enjoy a blessed ordained life. Recently a retired priest sent me a note stating: “I would send you a sample of one of the ways I have continued to express the calling I have been following since I was 18 years old.” What a blessing to know how this ordained ministry has given life and meaning to someone for such a long time! On this the ninth anniversary of my ordination as Bishop of Oregon I continue to feel blessed to live and work among such an excellent group of priests, deacons and lay people. You are all a blessing and gift to me in this ministry and I look forward to continuing to serve you in ministry.